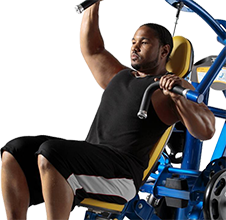 PPL Fitness is Ontario’s leading Commercial Fitness Equipment Specialist. We provide a full service operation including design services, operations review, equipment planning through to equipment supply, set-up and service. PPL Fitness has its own professional team of installers and service technicians to provide aftermarket service and maintenance. We provide a wide range of facilities with quality commercial products and unmatched service. 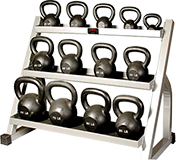 Representing the industries leading brand names in cardio, strength, cross-fit and accessories, PPL Fitness has a reputation for providing a high level of customer service and satisfaction for over 48 years. We remain on the forefront of the industry’s newest trends. With experienced sales consultants, an outstanding installation and service team combined with incredible products, it’s no wonder why PPL Fitness has been and continues to be Ontario’s fitness leader. PPL Fitness has over 48 years of experience supplying and equipping fitness facilities throughout the Greater Toronto Area and Ontario. The PPL Group originated in 1970 as an aquatics company providing pool maintenance and staffing services to the condominium, apartment and hotel markets. After several years of providing aquatics and staffing services, the PPL Group decided to expand by adding a fitness sales and service division known as PPL Fitness. At first PPL Fitness’ target cliental were condominiums, apartments and hotels, but later they expanded into seniors facilities, health clubs, military bases, schools and municipal markets. Today PPL Fitness has grown and developed to take on its own identity and is run as a stand-a-lone division within the PPL Group.